mike and i are back in lansing, which means every meal we eat this weekend other than breakfast will be grilled. tonight, we made kebabs, and made whatever didn’t fit on a skewer in our grill basket. 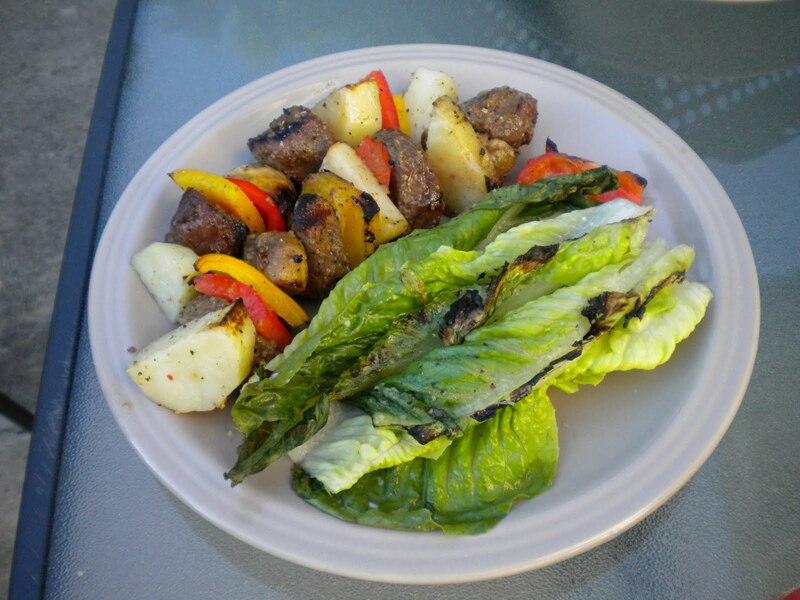 we also grilled some romaine lettuce with olive oil, mrs. dash, and some parmesan cheese. delicious! probably one of the more balanced meals we’ve made recently – the proportions were perfect! our kebabs had beef, potatoes, red peppers, yellow peppers, and mushrooms. yum! 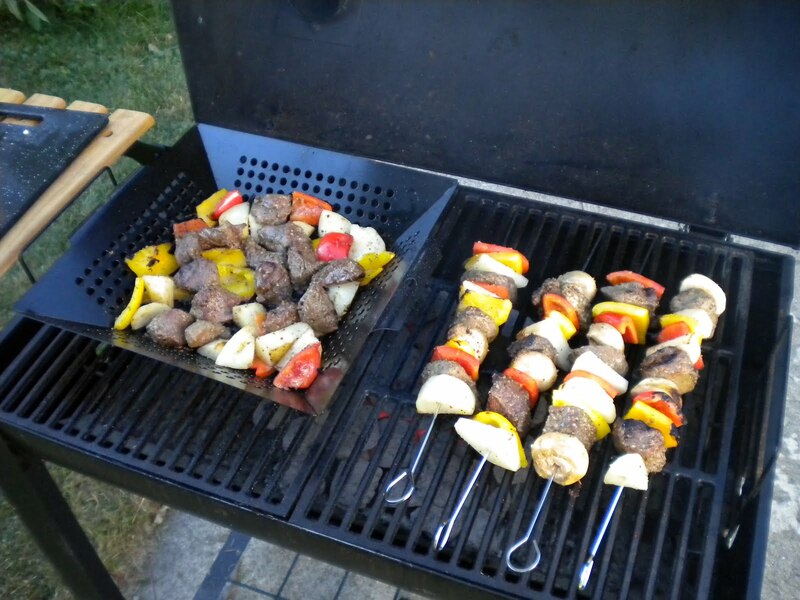 This entry was posted in Grilling and tagged bell pepper, chicken, Grilling, kebabs. Bookmark the permalink. I want that plate of food. It looks delicious! !